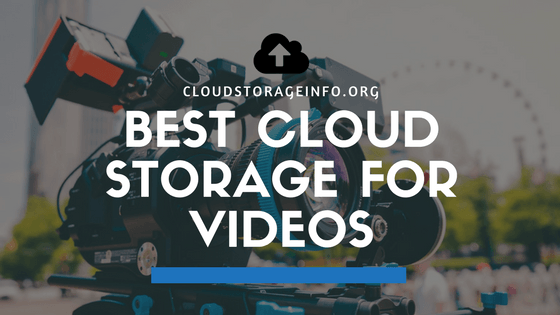 Let's all take a moment and recognise the spread of videos that are currently available online before we start figuring out which is the best online cloud storage for videos and movies. We're surrounded with videos on every step we go. Whether you're at home surfing the web, walking across the town centre and passing by the flashy commercials or just watching a movie on the TV. Videos have been a big thing even before the internet became popular. They have gained an even larger audience with the implementation of the Internet and social media. Watching an image for a commercial has become boring, and audiences respond to marketing videos much better. But it's not only that. Most of the videos are done for entertainment purposes, in fact - 6 billion hours of video material is watched on Youtube every month. And that number is growing every month. 1/7 people of the population of earth use Youtube, which is quite insane, to be honest. But where is it all stored? 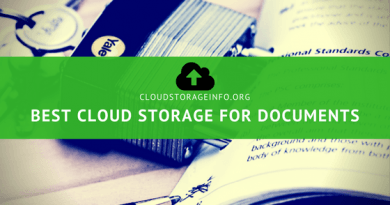 Personal users and companies have already or are transferring all of their files to public clouds due to the many advantages of cloud storage. Skip this and find out which is the best cloud storage for videos. Whether you're a family man taking video footage of your children playing around or a professional studio that creates commercials, you need a safe place to store your videos. One of the many benefits of storing videos online is that you'll be able to watch them anywhere at anytime. Let me give you an example. Let's say I want to watch a movie on a 4-hour trip with a bus. I'll just open up my smartphone and watch the movie from the application provided by the cloud service. Since I have all my videos stored online that won't be a problem. As soon as you upload your video to the cloud, it will get synced across all devices. 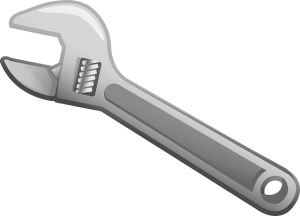 Many cloud services offer their software for you to install. That software creates an imaginary drive within your computer to which you can then upload your videos. The process of uploading the videos is the same as if you were uploading it to your hard drive. In case you wanted to send a video to your friend, there are multiple ways of doing that. You can create a folder that you can share permanently with your friend, and you can both upload videos to that folder. Or you can just create a sharing link that contains the video. If the video is of a personal nature, you can also protect it with a password, set expiry dates, bandwidth limits and more. The process of choosing the right cloud is very delicate, especially when we touch this area. A good cloud service provider ensures that your files are protected against mechanical failure appropriately. That is usually done with a redundancy system. Your files are backed up multiple times on different servers to prevent loss of data if something bad happens. Every hard drive has a limitation. If you transfer your videos to a cloud service, you'll have unlimited storage. An insane amount of cloud storage will obviously cost you more. However, cloud services usually have a variety of different pricing plans so that you can pick the one suitable for you. Bandwidth limits - Certain cloud services limit your bandwidth for uploads and downloads or for sharing files with other people. Upload/download speeds - Make sure that the service they're offering isn't slow, especially if you want to transfer big files like videos. Syncing speeds - Once you upload the video to the cloud is must get synced across all your devices. Preferably, pick a cloud service that won't keep you waiting for a day. Sharing options - If you would like to share videos with your friends, check out what options does the cloud service offer. Redundancy system - Make sure that the cloud service takes care of your videos appropriately by backing them up multiple times. pCloud is an online cloud storage with more than 7.000.000 users. There are no bandwidth limits regarding how many videos you wish to upload to the cloud. You only have bandwidth limits with using the sharing links, which depend on what plan you choose. The up/download speeds are unlimited and very fast when compared to other cloud storages. Syncing speeds between your devices are also one of the best on the market. You can share videos by establishing a connection with your friend or simply by using a sharing link. You can also use their transfer function which simplifies the whole thing. pCloud also offers client-side encryption which enables maximum protection for your files. Your videos are saved in 15 different racks or servers which guarantee that nothing will be lost in case of mechanical failure. pCloud is probably the best option that you have if you're searching for a cloud storage for videos. Sync.com is a cloud storage based on the Zero-knowledge platform, making it one of the safer options out there. There are no bandwidth limits whatsoever. Up/download speeds may vary, depending on where you live. Their servers are set up in Canada, which is not the best for users that aren't from North America. Syncing speeds, on the other hand, are very good, almost instant. There's also plenty of additional sharing options like password protected links and expiry dates. All in all a good pick for your video storage. SugarSync is a good cloud storage that is incredibly fast at syncing of your files across all devices. Public links have a limited bandwidth with up to 10 GB per day for free users and 250 GB for premium users. It's more expensive when compared with the two cloud storages above which is why it doesn't stand out as much in the cloud service community. Dropbox is one of the most popular cloud storages. Dropbox limits the bandwidth of the sharing links to 20 GB per day for free users and 200 GB for premium users. Up/download speeds could be better, especially when compared with other cloud storages like pCloud. It does lack on the whole privacy area, which is why you should take a look at a more secure cloud storage if you're sensitive about that. 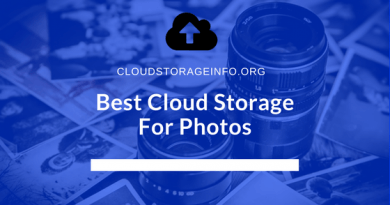 Having said that, it does have plenty of very useful features that make it one of the better cloud storage solutions out there. 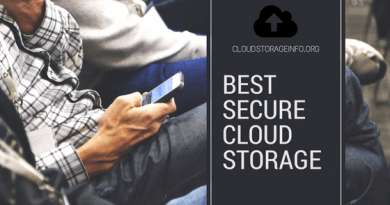 Are you searching for a cloud storage ? Check our top list and reviews by clicking on the buttons below. Where do you save your videos? Share your opinion in the comment section down below! 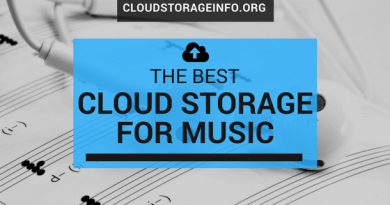 A masterpiece of a cloud storage roundup! I have a query. My business model mandates sharing a folder containing a vault of videos with my clients. Unfortunately, when I share the video vault with one client, they can, in turn, share their Google login with several others, thereby cannibalizing my business since Google allows simultaneous login and usage with the same account from multiple devices. Is there some way to disable simultaneous logins with the same account from multiple devices? If not, are there comparable cloud alternatives to Google Drive that have such a feature? I should really get into the cloud storage online. I like to watch movies and things when I’m away and this seems to be the only possible way to do it. Pcloud seems reasonable for $7.99 a month. I like the features it offers.I want something that’s fast, secure, and easy to use and Pcloud offers that. The fact that syncing speeds between devices is fast is important to me. I like to have movies on both my Iphone and Ipad.I am going to check these other ones out too. Since Pcloud is the first one you reviewed is your top choice? Like mentioned in the review, the syncing speeds between devices are very fast which makes it a great tool to use for the situation you mentioned. Upload the movie from your computer or any other device and then simply watch it later on from your iPad. Have fun using it! pCloud is indeed my top choice. Before you introduced me to pCloud! I can’t believe that they are offering up to 20 GB of free storage along with pretty nifty internet speeds – are you sure there are no catches or upsells with this? There are definitely no catches or upsells with it, I’ve been using it for years now. Mega used to offer up to 50GB of free storage but they reduced that number to 15GB of free permanent storage which makes pCloud the one that offers the most while still providing quality service. Thanks for the post man! I’ve been looking into this more and more as I’m worried my drone footage will end up lost. I currently have a setup at home with 2 computers mirroring to each other upstairs and then a backup to a NAS downstairs. I used to have a machine at my office running CrashPlan that allowed me to backup to other machines in my account, free of charge. They have since discontinued that option, leaving me with just my backups at home. That’s all fine and dandy until my house burns down. Enter cloud storage…For me, I plan to use it as a backup system for now, not so much a sharing or serving platform so speed and sharing options aren’t as important to me as price and reliability. I’m going to check these services out and see what’s best for my situation. Ye that’s great stuff. Using a NAS in a combination with some online backup solution sounds as safe as it can get. Hello Dean, I’ve used number 4 of your recommended list and it’s a great cloud storage and easy to use. Didn’t tried the first 3 recommendations. I guess it’s time for me to try and see for myself if this could surpass my love for dropbox. Thank you for sharing this very informative post. Really helped me looking for alternatives. Thanks for providing such an in-depth article on cloud storage. I keep hearing about that term but never really understood what it meant until now. One thing that I wonder about is how secure these things are? For example, if I was to store personal videos of my family and special family moments – could I assume that they have a lot of security so that no one other than people I share the videos with will be able to see them? How secure is cloud storage? It depends on the cloud storage provider. You are safe to assume that nobody will be able to see your personal videos if you go with the first two options – Sync.com or pCloud. Sync.com is based on a zero-knowledge principle which provides that privacy you’re looking for. The same goes for pCloud if you go for their Crypto plan. I’ve also made an article about how secure is cloud storage if you’re interested. As somebody who rarely uses ‘clouds’ I found this article very educational and informative. I usually use iCloud or Dropbox for documents that I may want access to frequently and wherever I may be. You mention on your #2 recommendation that upload/download speeds may be slower outside US and Canada. Does that mean the other services are not affected by being outside US and Canada? I’m in Malaysia for example, would that have an impact on any of the recommended services you mention? One other thing that I would like to know, is how big an impact does the service provider speeds have? The upload/download speeds vary depending on the speeds that are limited by your provider, the speeds that are offered by the cloud storage and your location on the world map. You should first check the speed provided by your provider here and then proceed to check where the cloud storage is located and what kind of limits (or no limits) they impose to their upload/download speeds. It also depends on the location of their servers and your location towards that. Yeah, that’s the problem. 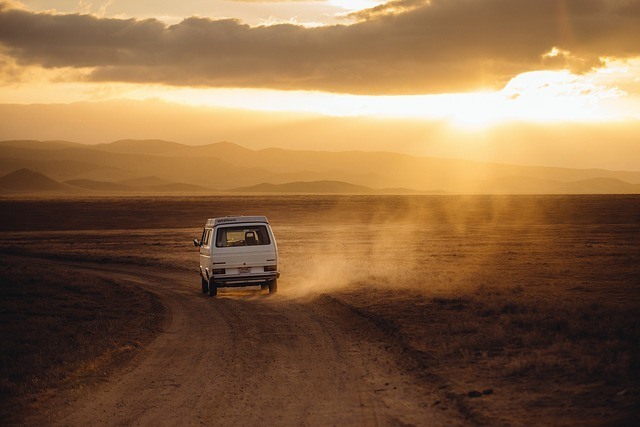 Most people don’t realize the importance of backup and cloud storage until it’s too late. Either have a local backup (another hard drive) or go for a cloud storage or cloud backup. Important documents, photos and videos need to be on 2 locations as you never know what’s going to happen. It seems to me that uploading your videos and movies to a cloud is a no-brainer and certainly a thing of the future. Only question I have is that when I want to share a video, my cloud storage site will provide me with a shareable link that I can then upload to YouTube or Vimeo? And I have only so many shareable links depending on the plan I pick? It really depends on the cloud storage. I don’t know of any cloud storage that limits the number of shareable links though. Some of the cloud storages limit the bandwidth that your friends can use when downloading from your links. You could create a shared folder with your friends and then each of you can upload videos to that folder. Those videos will be then synchronised to all accounts and everyone will be able to watch them. Hello, when you store videos and movies in the cloud, are they physically stored on multiple computers in one location like say in New York. Or are they also stored on computers in more than one location, like say New York and say San Francisco? So if the computers in New York are ‘out of action’ due to a bad storm that you are able to watch your movies that are stored in the computers in San Francisco, is that how it works? Your files, in this case videos and movies are stored on servers, on most occasions in multiple locations. In cloud storage world there are no such things as “bad storms” effecting the availability. Server centers are protected by many security measures which include backup generators. Your files are also uploaded on multiple servers at the same time which prevents data loss in case one of the servers breaks down. But yeah, you got it just about right. If one location somehow goes down, you’ll get your files from another. Thank you for sharing with me such useful information. I have always heard about Cloud Storage and I often forget about it after awhile. I hope you will share more useful information on your website. Well if you’re new to cloud storage feel free to take a look around the website. I am sure you’ll find some posts that will be interesting to you. Here’s 2 to get you started: Online Cloud Storage Definition – Learn More Today and How Secure Is Online Cloud Storage? – Learn More Today. Regarding the comparison of the Sync and SugarSync: You must know that SugarSync doesn’t have a free version. They offer a 90-day trial which allows you to test things. The big advantage of Sync is that they use the Zero-Knowledge platform which keeps your files as safe as it is possible. Sync is also a lot cheaper but not at the cost of its features. When comparing the features – They both have some advantages and disadvantages that you can find within the in-depth reviews. Hopefully that was helpful and thank you for dropping by. This is a very informative review of cloud storages. Thanks for sharing!